Participants of the Innovation Competition happily display their ideas for future businesses flanked by the competition judges. From L-R: Competition judge Kenwood Cartwright, students Randall Tynes, Peaches Sweeting, Kendy Thompson, Drexal Butler, Edrick Munroe, Jasmine Brown, Dariana Michel, Breandra Whylly, and competition judge Errol McPhee. 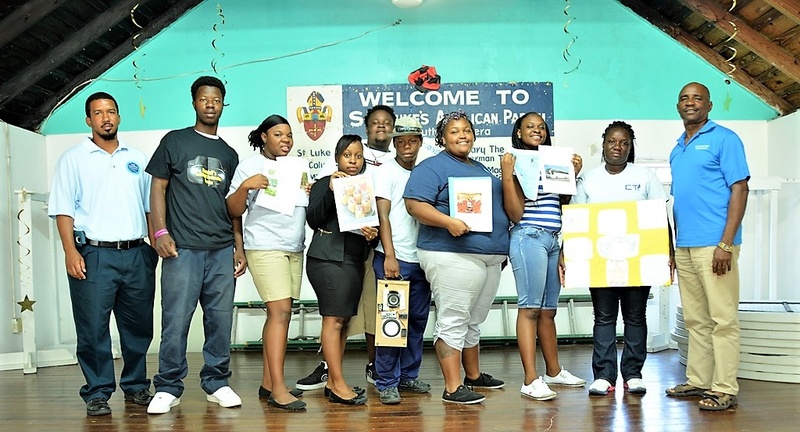 (Eleuthera, Bahamas) In January, students of the Centre for Training and Innovation Learn and Earn program participated in ‘The Next Boss’, an in-house innovation competition. They were given the opportunity to come up with a business idea and present it before their peers and a pair of judges during their Entrepreneurship class. The top three innovations won prize money in the amounts of $500, $300, and $200, and the opportunity for further funding to develop their business ideas. Lecturer for the Entrepreneurship course and the brains behind the project, Denise Hinds-Jordan, moderated the event and provided feedback alongside the judges to the students on their various innovations and how they could make them more feasible and make them a reality. She reminded the students that “an investment in your business is really an investment in you.” The key points of the competition were for students to demonstrate what their idea was, how it was innovative and what problem it would solve for themselves or the community. Students were tasked with showing the judges how the business idea could potentially generate income. 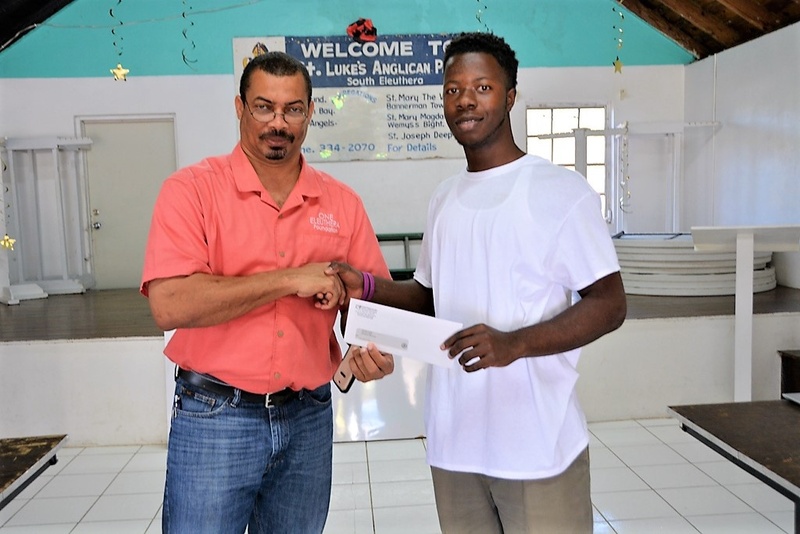 1st place winner, Randall Tynes receiving his prize check from OEF CEO Shaun Ingraham. 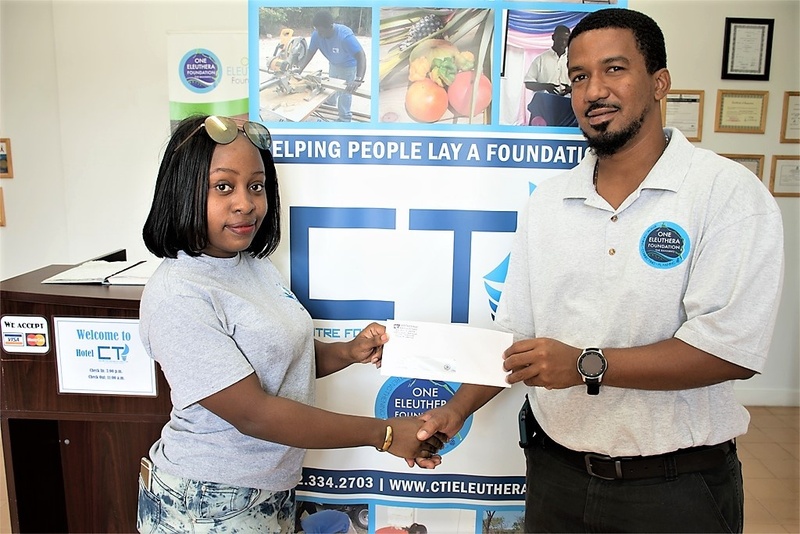 Serving as judges were Errol McPhee, who has tremendous experience in the area of entrepreneurship including revising business plans and teaching business courses for many years, and Kenwood Cartwright, a member of local government for South Eleuthera. “The students have some very good ideas that I really liked,” said Mr. Cartwright. “Excellent ideas!” Mr. McPhee concurred with a smile. Both agreed that this was an invaluable experience for the students to see how they needed to present themselves when seeking investors in their business. The judges expressed their hope that the students would continue to develop themselves and their ideas for the benefit of the community. 2nd place winner, Kendy Thompson receiving her prize check from competition judge Kenwood Cartwright. Participating students used this opportunity to research what it would take to bring their ideas to fruition, presenting on concepts that truly interested them. The passion for their ideas was evident in the way they fielded questions from their peers and listened attentively to the suggestions from the judges and moderator. It was undeniably a learning experience for everyone present. Not only were students able to get a feel for what it was like to present their idea to a potential investor such as a bank manager or venture capitalist, it was a chance for them to test out their pitch and be enlightened to challenges and spin-off avenues for expansion to their business idea that they hadn’t previously considered. 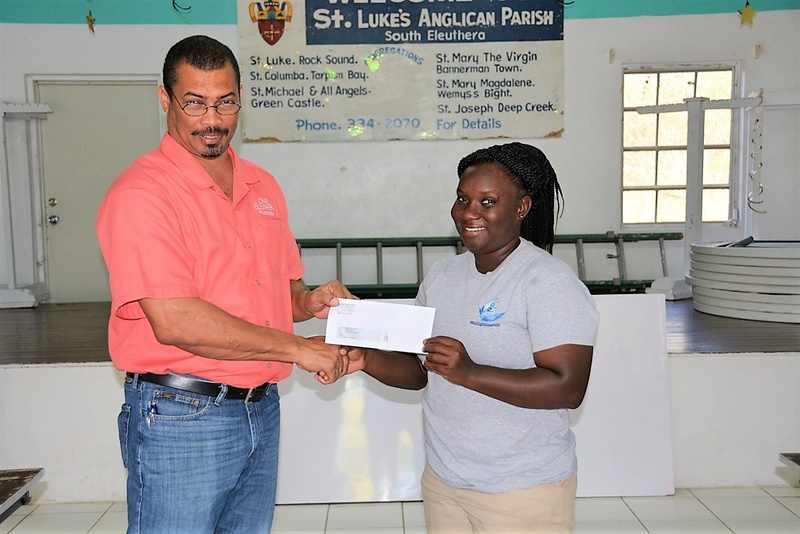 3rd place winner, Breandra Whylly receiving her prize check from OEF CEO Shaun Ingraham. Since their first Entrepreneurship class session in October 2018, students have been exposed to a wealth of information. As class instructor, Mrs. Hinds-Jordan has been “tickled pink” to have the opportunity to teach students of such a young age the basics of entrepreneurship and to give them the building blocks to turn their ideas into real life businesses that they can call their own. With the February 22nd graduation date drawing closer and closer, students are putting their all into this final push towards their certificates and the next steps in improving their lives and making an impact in the community. To learn more about CTI and its programs, call 334-4711 or email cti@oneeleuthera.org.